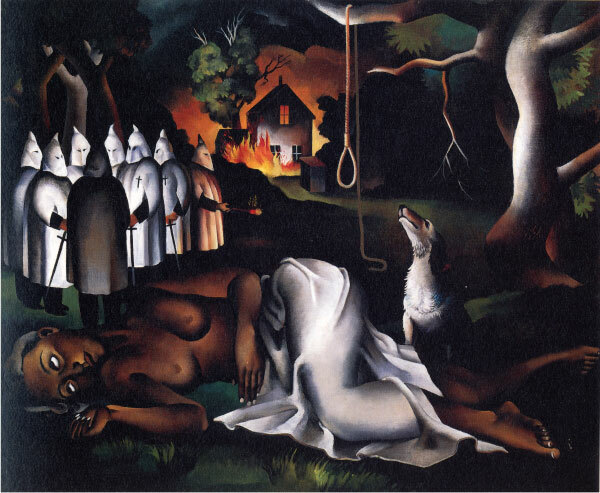 Edward Hopper, Thomas Hart Benton, Ben Shahn, Philip Evergood, Stuart Davis, Charles Demuth, Charles Sheeler, Georgia O’Keeffe, and Grant Wood. Collectively, the aesthetically and politically varied works produced in the 1930s paint a revealing portrait of the nation’s evolving psyche. Edward Hopper’s reflective, melancholy approach to homegrown subjects is quite different from the bold romanticism of Thomas Hart Benton and his fellow Regionalists, who sought to create a national art that glorified America. Painters such as Philip Evergood and Ben Shahn used social realism to protest political attitudes of the time, highlighting the plights of migrant sharecroppers, Jewish immigrants, and other marginalized members of society. At the same time, other artists reinvigorated the revolt against representational style, championing nonobjective art as a form that spoke deeply to modern concerns. The Park Avenue Cubists continued to evolve a European-based abstraction, and modernists such as Stuart Davis and Charles Demuth applied a precise, geometric vocabulary to American architecture and advertising. Bringing these diverse works of art together, America after the Fall tells the story of a nation’s fall from grace and irrevocable changes to the American dream. 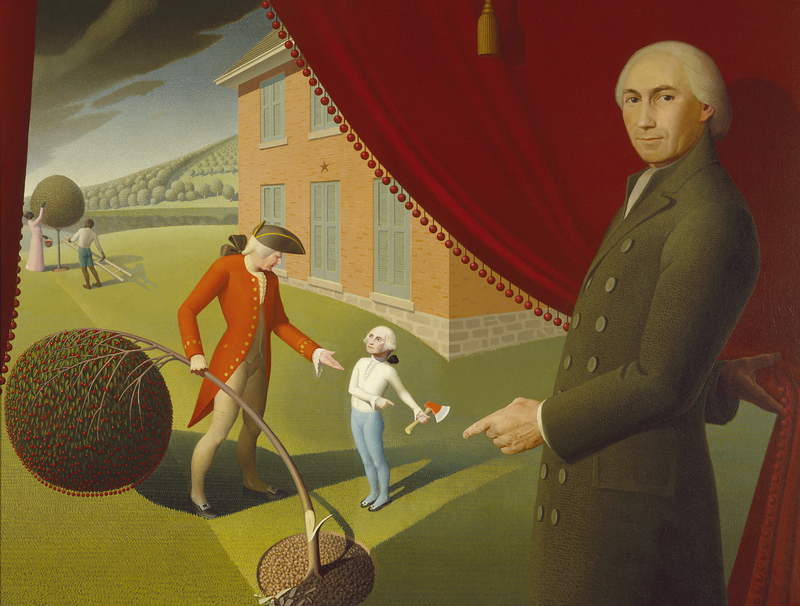 Following its installation at the Art Institute, the exhibition travels to the Musée de l’Orangerie in Paris and London’s Royal Academy, marking the first time many of these iconic American works—including Grant Wood’s American Gothic—have journeyed beyond North America. For French and British audiences, this traveling exhibition offers an unprecedented opportunity to experience these masterpieces firsthand. For all the show’s visitors, the presentation affords a trailblazing look at the turbulent economic, political, and aesthetic world of the 1930s and the critical and dynamic process of rethinking modernism that it fostered. 105 color + 15 b/w illus.